If you’re unsure where to buy solar panels in the Philippines, don’t let it bother you too much. With the many innovations and high growth that the solar industry in the Philippines has gone through, your exposure to the solar industry should come naturally by now! Solar tech has just become one of the must-watch alternatives to commercialized power! Find out just how amazing solar panels can be for the Philippines by reading the rest of this article! The Philippines is one of the few places in the world that is very rich in natural resources—be it mineral deposits, oil fields below the ocean, lush forests, and of course, the great power that the sun bestows upon the whole country. That being said, renewable energy, particularly solar power, can be a great way to power-up the Philippines! Since the Philippines is near the equator, it receives more sunlight, and for a longer period. In essence, the country is in one of the best spots to harness solar energy from. And that’s exactly what the country has been doing in the last few years—making huge strides to better improve the solar technology that we already have! 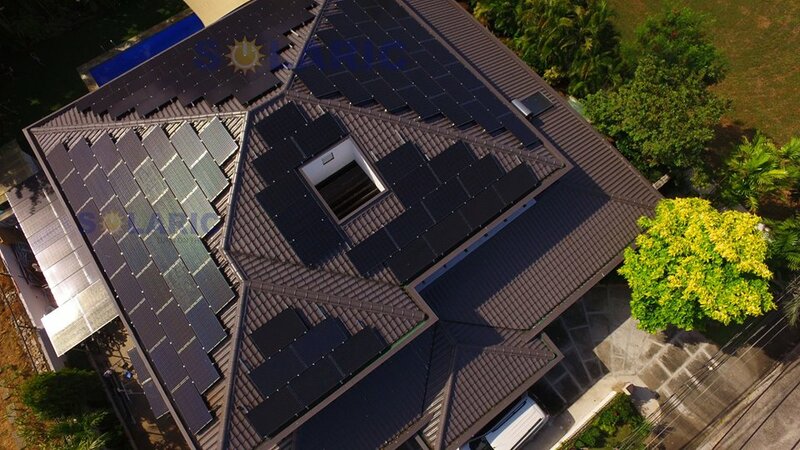 But of course, the talk about where to buy solar panels in the Philippines has only again been in the limelight due to the many innovations that have surfaced. But we should not forget that the Philippines already has a lot of achievements when it comes to solar energy! Found at the convergence of the towns of Caltagan, Lian, and Baalayan is the 63.3-megawatt Calatagan Solar farm—the largest solar facility that has ever been created in the Philippines by far! It is a 160-hectare farmland that houses solar panels and solar systems instead of crops and trees. Needless to say, this farm filled with solar panels is enough to power western Batangas! 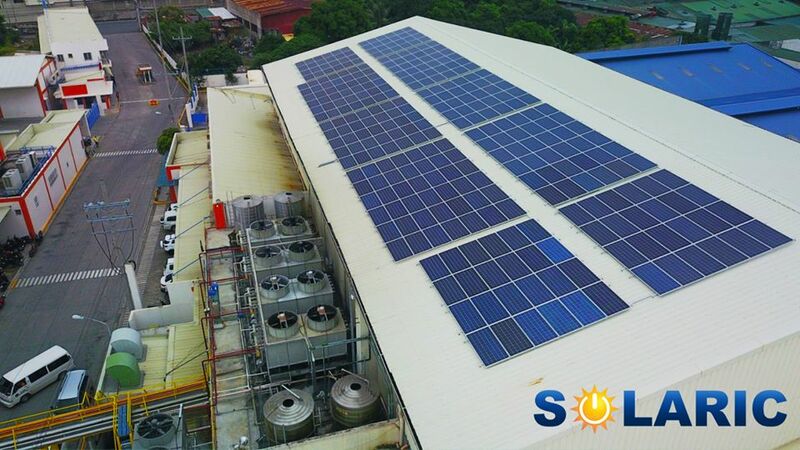 Other notable achievements of the solar industry in the Philippines would be the installation of solar panels onto some notable malls, one of which is SM North Edsa! Found in Quezon City, the mall has around 5,700 solar panels and 60 inverters installed on its parking building. These solar panels produce enough power to supply a thousand homes. Of course, it goes without saying that the solar system in SM North Edsa is more than enough to power the whole mall! 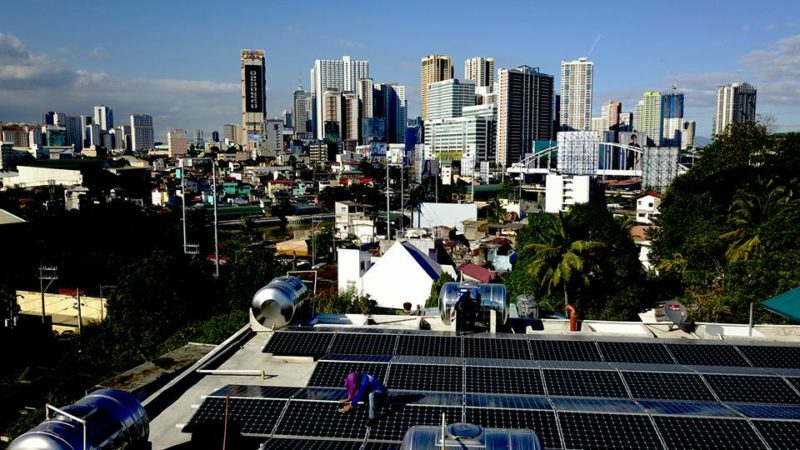 Solar panels in the Philippines are becoming more and more accessible to the masses. It not only experienced intense growth, but it also became less expensive as time passed by! By now, many Filipinos are already thinking of or deciding on going solar! But in a lot of cases, the kuripot and extremely thrifty personalities take hold of them, sometimes resulting in settling for substandard solar panel options. You have to be very particular when you look at where to buy solar panels in the Philippines. Sometimes, accessible, and cheaper options are not always the best when you are trying to save money. We should appreciate just how ideal the Philippines is for Solar energy. A tropical archipelago that’s so close to the equator with days that are relatively longer than nights. You’d be constantly asking yourself why solar energy isn’t as talked about as much as it should be! In the end, the Philippines gives you almost all the go signals for you to go solar! Not everyone is going to be into things that they hardly know anything about. You shouldn’t let sales talk and advertisements convince you that everything will get better once you go solar. Rather, you should study about the matter on your own and make a decision once you have a general understanding of what going solar entails. Basically, going solar means relying on the sun to power your home — that means buying, installing, and maintaining solar panels. To some, it’s just another expense to be paid, to others, it’s an investment for a brighter future. With that being said, here are a few other reasons why you should go solar right now! Solar Power is Great for the Environment. Sunlight is one of the few renewable resources that doesn’t need a lot of complex mechanisms and other materials in order to be utilized. Aside from that, in the process of using it, converting it to electricity, solar produces no pollution whatsoever. Solar power doesn’t produce any kind of greenhouse gasses, any pollutants, nor does it take away from the environment! Solar energy is 100% eco-friendly! Solar Power is Limitless (to some extent). Solar power is harnessed from the sun’s rays. Unless you’re immortal, or at least able to live for another 5 billion years, then you won’t be seeing the end of the sun anytime in your lifetime. That being said, until the day that the sun stops shining, sunlight ;will continue to be a seemingly unlimited power source! Solar Panels Last for a Very Long Time. Solar panels are built to last for incredibly long periods of time. It uses little to no moving parts that would cause any kind of wear and tear on the panel. Its outer shell protects its fragile parts from the many forces of nature, as well as strong physical impacts! You can be sure that even in the strongest of storms, your solar panel will not waver! Solar Power Can Reduce Your Electric Bill. Some people go further, as in completely nullifying their electric bills with just how much electricity they generate! ROI for Embracing Solar Power. Initially, going solar will be quite expensive, even with the technology becoming more affordable over the years. That’s because additional costs such as insurance, installation fees, professional fees, grid connection fees, etc. are already included in the bill. These expenses will pay off in due time, through the reduction or the nullifying of your electric bill! Owning a solar system means that you have your own source of electricity. You won’t need to pay a lot for commercialized electricity anymore! Solar Power Is Very Accessible. Solar technology has become very accessible today. No longer is it limited to businesses, corporations and the upper class. Because of recent innovations, it can now be bought and utilized by almost everyone! No longer do you have to search where to buy solar panels in the Philippines, most of the time, they’ll be the ones contacting you — they might even be just around the corner! Counterfeit products have always been rampant in the Philippines. Stores that look exactly the same as designer labels, if only for a single letter change, are all over the place. Branded items, generic products — nothing is safe from forgery. Solar panels in the Philippines aren’t safe from this either. Try this out: walk along Quiapo or Divisoria particularly in places where hardware is usually sold and you’ll find at least a store or two that offers solar panels of different shapes and sizes! It’s made up of photovoltaic cells that are essentially layers of silicon held together to make an electric circuit possible. If an alternative material is used, it can greatly affect the efficiency that a solar panel has. With solarpanels from legitimate sources, you’ll be sure that your sol>ar panels are created with the highest quality materials, and ensure that it would work as effectively and efficiently as it was said! As mentioned a while ago, solar panels should be able to stand the forces of nature — that means rain, high temperatures, strong winds, and sometimes all of them at once (figuratively). In that regard, substandard protective layers and quality control can reduce the lifespan of solar panels by a large degree. Only the sol>ar panels that have gone through immense quality control protocols and are made with the finest materials will be able to survive such feats of durability. A common strategy used by a lot of unreliable vendors in the Philippines is to display the best of the best of their products, use it for demonstrations, and then lure the people into buying the other subpar products. With solar panels, product demonstrations can be inaccurate, particularly in places where sunlight isn’t always available such as inside a mall or at the ground floor of establishments. With that being said, you can never be truly sure of the quality of the solarpanel that can be found in such places. Unlike in the offices of official distributors and suppliers, not only will they provide a product demo, but will also explain to you every little detail that you need to know for it! Solar panels are usually guaranteed to last for at least 10, maybe even 20 years into the future. And their warranties can go as long as that. These kinds of warranties can only be received from legitimate suppliers. Another thing to consider is that you have a general idea of where thecompany would be whenever you’ll need to avail the warranty, while a substandard solar panel supplier might just up and disappear any day. And of course one of the most pressing reasons why you should always choose to go with legitimate, official, and licensed solar panel suppliers is because there are certain certifications that are needed for selling and installing solar panels. Most of the time, the smaller stores would not have these certificates — usually the sign of selling counterfeit products. Most of the time, solar panel suppliers are affiliated with a solarpower installation service providers or provide their own. This is important to consider because installing a solar panel is not easy, let alone an entire system of around five or more! 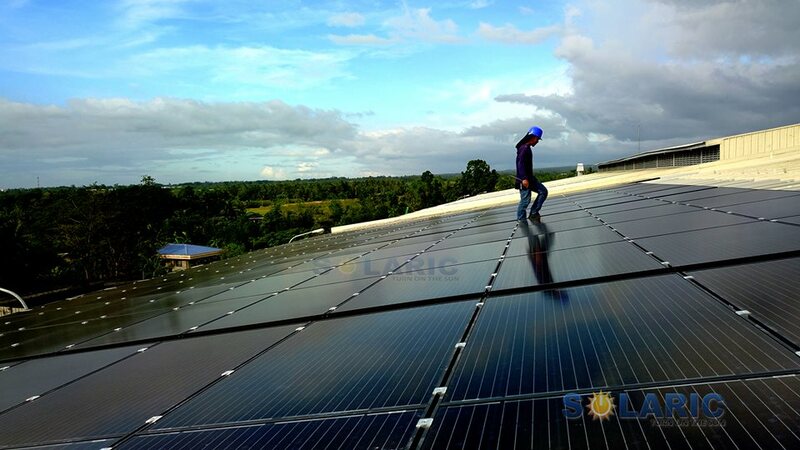 The installation of solar panels in the Philippines can be difficult and usually needs a high level of precision and organization to pull off. Although some people find ways for them to do it on their own, it is highly recommended for people to have a professional installer do it for them! To help disperse your worries, here are some signs of a good solar panel installer! Certified A good solar panel provider will most definitely be certified to sell and install solar power technology. Most of the time they would be part of something like the Solar Trade Association or other similar organizations! Informative and Transparent. A solar panel supplier or installer should never be too stingy when it comes to information about their products and services. They should be open about the pros as well as the cons of what they provide and what they do. Most importantly, they should have a clear goal of educating you regarding the solar technology that you are availing. Not only will this help you choose the best solar system that meets what you want and needs, but it will also show that they genuinely care for you and are not just after your money. Professional on the Job. The people who will tell install your solar panels should be professional. They should constantly be in contact with you when things come up, and they should always come on time or give you a heads up when they can’t make it. They should ask you about the things that would need your opinions such as the location of the solar panels and the inverters with it and explain to you everything that you need to know while as it is happening. At the end of the installation, they should then run you through the whole thing. Lastly, they should also be responsible for cleaning up after themselves. Provides Excellent After Sales Service. Finally, when the installation is done and you already have your solar panels installed, the supplier should provide some sort of after-sales service. This includes following up on the system they installed and inquiring if there are any needed improvements. Otherwise, they should also probably offer promos or other additional information that can help maintain your solar system! A good solar panel installer will always prioritize what the client wants and will find a way to satisfy their need for solar technology! Remember that looking at where to buy solar panels in the Philippines is just the start of going solar. Choosing the right supplier, getting them installed and actively using them on a daily basis is your end goal! Solaric is Where to Buy Solar Panels in the Philippines! Sometimes, deciding where to buy solar panels in the Philippines can be incredibly hectic. With many companies already offering solar technology, you have a lot of options to choose from! With that being said, If you want to have the highest quality and best customer service, then you should choose Solaric! 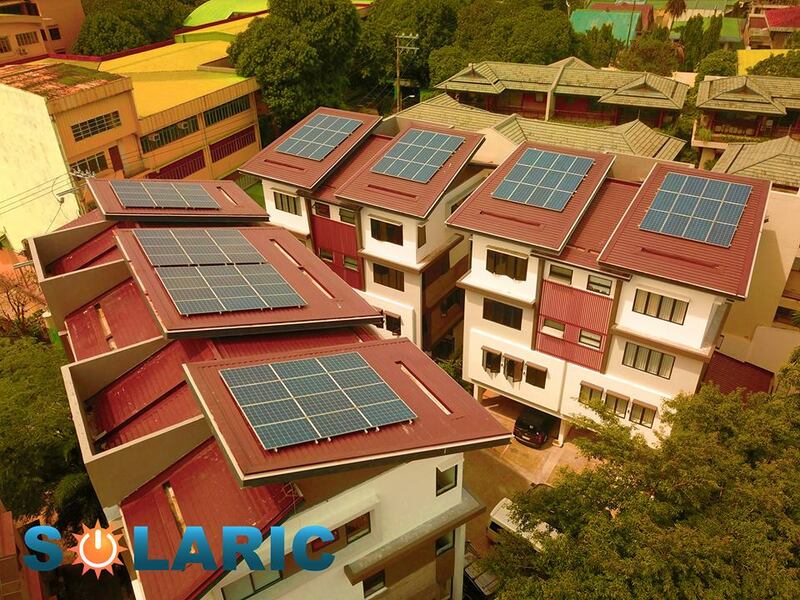 Solaric has been and continues to be one of the finest solar technology providers in the Philippines! With multiple experts in the industry, you’ll be sure that you’re getting the service of the greatest minds and best people in the solar industry! When it comes to solar panels, Solaric is the place to go! The house you see here has a negative monthly utility bill. A typical Solaric home will install ~500Wp (2 solar panels to ~5kWp (20 solar panels) and will save thousands off their monthly bill.